General Sir Mike Jackson is the Former Chief of the General Staff and Head of the British Army. 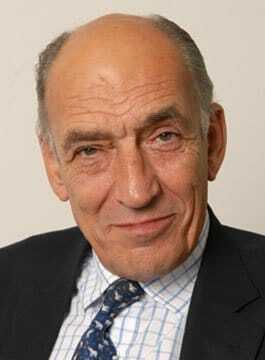 General Sir Mike Jackson was born in 1944, and was educated at Stamford School, Royal Military Academy Sandhurst and Birmingham University. Commissioned from Sandhurst into the Intelligence Corps in December 1963, he studied for an in-service degree in Russian Studies from 1964 to 1967. After graduating, he spent two years on secondment to the Parachute Regiment and subsequently transferred from the Intelligence Corps in 1970. Jackson attended the Staff College in 1976, after which he spent two years as the Chief of Staff of the Berlin Infantry Brigade. He then commanded a parachute company for two years, once more in Northern Ireland. After a six-month course at the National Defence College at Latimer in 1981, he joined the Directing Staff at the Staff College. His two-and-a-half-year tour at Camberley included a ten week attachment to the Ministry of Defence during the Falklands conflict. He commanded 1st Battalion The Parachute Regiment from March 1984 to September 1986. Throughout his period of command the Battalion was part of the NATO Allied Command Europe Mobile Force (Land), a role which included three winters spent in Norway on arctic training. For just over two years, until the end of 1988, he was the Senior Directing Staff (Army) at the Joint Service Defence College, Greenwich. Following the Higher Command and Staff Course at Camberley in early 1989, he then spent six months on a Service Fellowship at Cambridge writing a paper on the future of the British Army. He moved back to Northern Ireland in late 1989 to command 39 Infantry Brigade for two and a half years. 1992 and 1993 were spent in the Ministry of Defence as Director General Personnel Services (Army). He commanded the 3rd (United Kingdom) Division from March 1994 to July 1996. In August 1995 he was selected to assume command of UNPROFOR in Bosnia at the end of that year; in the event, however, after the success of the Dayton talks, he spent the first half of 1996 in Bosnia commanding IFOR’s Multinational Division South West. He assumed the appointment of Commander ACE Rapid Reaction Corps in the rank of Lieutenant General in February 1997, following a brief assignment as Director General Development and Doctrine. Mike Jackson deployed with ARRC HQ as Commander Kosovo Force to Macedonia in March 1999 and subsequently commanded Kosovo Force in Pristina from June to October 1999. He assumed the appointment of Commander in Chief Land Command on the 1st March 2000. He assumed the appointment of Chief of the General Staff on the 1st February, and left office on 29th August 2006. General Sir Mike Jackson was awarded the MBE in 1979, the CBE in 1992, the CB in 1996, the KCB in 1998, the DSO in 1999 and the GCB in 2004. As a keynote speaker his speaking topics include: Transformational Leadership, Teamwork, Security and Risk.